Lynne Thom Architects provides beautiful designs for medical offices in Colorado, New Mexico, Texas, and Wyoming, and can provide medical office designs anywhere in the United States. Lynne Thom Architects provides beautiful designs for healthcare offices in Colorado, New Mexico, Texas, and Wyoming, and can provide medical office designs anywhere in the United States. Lynne Thom Architects designs for medical dental offices have simple clean lines and beautiful colors. 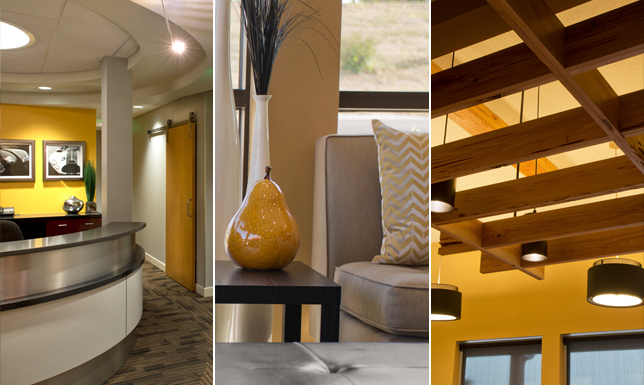 Lynne Thom Architects designs for healthcare dental offices have simple clean lines and beautiful colors. Lynne Thom Architects designs for medical offices are state of the art with modern design elements, beautifully coordinated colors, modern technology and clean line details. Lynne Thom Architects designs for healthcare offices are state of the art with modern design elements, beautifully coordinated colors, modern technology and clean line details. Lynne Thom Architects designs for medical offices have the latest technological features and integrate the latest medical equipment and procedures with sophisticated modern style. Lynne Thom Architects designs for healthcare offices have the latest technological features and integrate the latest medical equipment and procedures with sophisticated modern style. Lynne Thom Architects designs plans for medical offices that are efficient, modern, and use simple clean lines. Lynne Thom Architects designs plans for healthcare offices that are efficient, modern, and use simple clean lines. Lynne Thom Architect's plans for medical offices are highly customized for each medical practice. Lynne Thom Architect's plans for healthcare offices are highly customized for each medical practice. Lynne Thom Architect’s plans for medical and healthcare designs are beautiful and win many ASID awards from ASID Colorado in the ASID Healthcare division.